The Great Gate Company design, manufacture and install high quality, made to measure, wrought iron gates, railings, window grilles, staircases and all other kinds of metalwork. We pride ourselves on a wide range of designs [including Victorian, Edwardian, and Contemporary] and have produced many original pieces to order. It is possible to make gates and railings to any height or width, on changing levels, and straight or curved without an issue. They can be finished in any RAL colour. Established in 2008, we have had many satisfied customers throughout the years from all over the UK. All products are designed and made in the company workshops in Corsham. A nationwide delivery service is available and installation is currently available in the South, Southwest, London, Midlands and Home Counties. Browse the website for popular gate and railing designs which can be adapted to suit your preferences and needs. It is also possible to create a design from a photo, sketch or other inspirations. Contact us for friendly advice and a guideline price; all enquiries are welcome. All prices shown on this website are exclusive of VAT. Know exactly what you would like? Great! Contact us today and tell us the design and measurements and we will check all details with you and confirm your order. ARE YOU READY BUT HAVE QUESTIONS ABOUT MEASURING UP? Guides to measuring walls and steps for gates and railings can be found on this website. You can also contact us with any questions and we will work with you to ensure that you take the correct dimensions. Upon receipt of your deposit we will then produce a drawing for your approval. 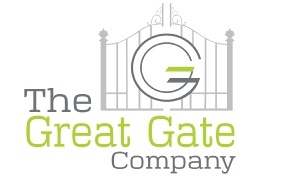 Alternatively, enjoy peace of mind with The Great Gate Company’s measuring up service. This is FREE if you buy on a supply and fit basis or chargeable on a supply only basis. ARE YOU LOOKING FOR DESIGN AND/OR INSTALLATION ADVICE? We offer technical support on installation or design assistance by phone or email. Any design can be modified or personalised to make it extra special. Design consultations are available at our office in Corsham or in your own home by appointment. Visits involving travel may be chargeable. Fabricated in heavy duty section, this substantial gate looks authentic on a wide range of Victorian properties. Matching railings are also available. The design can be customised with round or square uprights, your choice of finials, and any RAL colour. All products are galvanised and powder coated to a very high standard to ensure a long lasting finish. All prices include: hinges, gravity or slide latch and latchkeeper. Posts can be made to fix to brick pillars or concreted into the ground. This is a lovely gate design with the classic elegance and simplicity of Edwardian architecture. The gate features a shallow inverted arch top and finials. We recommend the heavy duty pineapple post tops to create a complementary Edwardian style, although other finials are available.The gate is available in medium weight or heavy duty section, with matching railings also available. All prices include: hinges, gravity or slide latch and latchkeeper. Posts can be made to fix to brick pillars or concreted into the ground. This stylish, modern garden gate has a circle design feature along the top rail. The design can be customised with your choice of standard circles or swirls. Matching railings are also available. All prices include: hinges, gravity or slide latch and latchkeeper. Posts can be made to fix to brick pillars or concreted into the ground. These stylish wrought iron railings have a lovely hoop top with finials feature. The design can be customised with your choice of finials, round or square uprights, and any RAL colour powder coating . A matching gate is also available and posts can be supplied if required. These lovely wrought iron railings look great on modern and classic properties and feature sphere top finials, which are aesthetically pleasing and have the advantage of being very safe for children. The design can be customised with round or square uprights, any RAL colour powder coating, and your choice of finials. A matching gate is also available. The Victorians loved ornate wrought ironwork and this design reflects that with its sumptuous Fleur de Lys finials paired with pineapple post tops. The design can be customised with your choice of finials, post tops, RAL colour powder coating, and round or square uprights (the photo shows round uprights). You can find a selection of our finial and post top options on the website under 'products', or you can contact us and we will be happy to run through the possibilities with you. Matching gates are also available.